You don’t have a headboard, but your bedroom feels like it’s missing something. 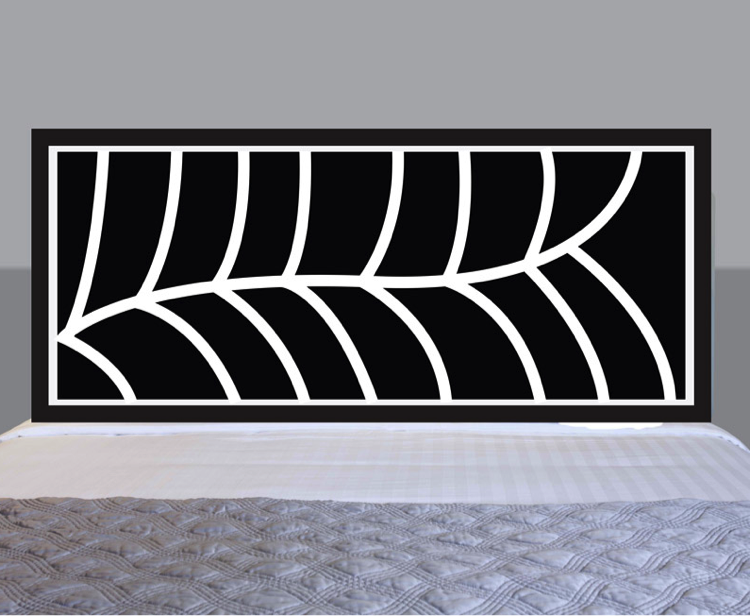 Try one of our great headboard decals to provide new interest and focus in your personal domain. 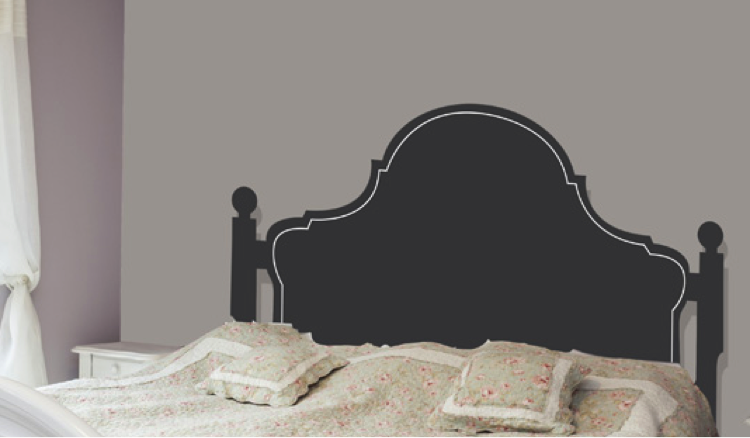 This Victorian Headboard wall decal is based on old Victorian style headboards. It is designed to go at the head of the bed in place of the headboard and makes a great alternative to finding a headboard that fits the style of your room, and fits on your bedframe. It’s affordable and beautiful, a fantastic way to add style and drama to the room – without the mess and fuss of paint or wallpaper. Our wall decals are vinyl self-adhesive and can be moved and repositioned without muss or fuss, and they won’t leave sticky residue behind. It will look just like the day you put it up years from now and won’t peel at the edges or fade. Great idea, you say, but the Victorian style doesn’t exactly match your modern decor. We have other options, as well. You’ll love this Leaf Headboard design. But we have many other options to choose from. See our Headboards & Furniture section for more delightful ideas. You’ll find decals that can be placed on your existing headboard or on the wall, positioned above your existing headboard, even a Hello Kitty design your daughter will just love. We’re happy to present these exciting ideas for decorating your bedrooms, and you’ll love the ease of putting them up, as well as the price. Each comes in three different sizes to fit the space you need to brighten. And, you’ll get free shipping anywhere in Australia or New Zealand, with low, flat rate international delivery elsewhere. But more than anything, you’ll love this great option for decorating without breaking your budget – or your back. Want to learn more? Please contact us at [email protected] or go to our Contact Us page for more ways to get in touch. We’d love to hear from you.